This season reach for new heights in earthy espadrilles. 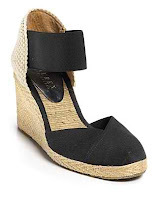 The look of espadrilles are summery and flirtatious and can easily be dressed up or down. They really are the perfect shoe for achieving the best looks this spring/summer. 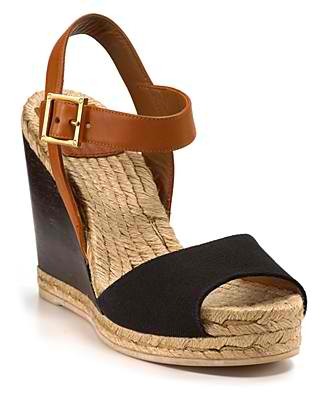 I'm loving the sophisticated two-tone Tory Burch espadrilles with a wood wedge this season. The classic espadrilles from the designer who does classic like none other Lauren by Ralph Lauren.